We are engaged in manufacturing and supplying to our clients an attractive range of Motorcycle Cover. 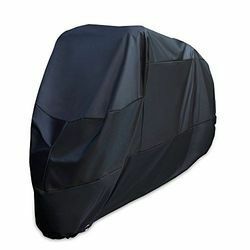 Offered vehicle cover is well designed by our experienced workforce by utilizing optimum quality material and the latest techniques. Established in the year of 1971, Golden Canvas Company is the leading Wholesaler and Manufacturer of Umbrella Fabric, Car Body Cover Fabric, Jacket Fabric, Sleeping Bag Fabric and much more. Taking into account the latest market trends, our products are precisely designed under the expert supervision of our skilled professionals. Moreover, we are offering these products in various specifications to meet the diverse requirements of our clients in efficient manner.